A bridge can be used to replace one or more missing teeth – helping to restore function and look to your mouth. 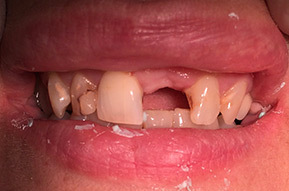 It is a fixed restoration which makes use of the surrounding teeth as ‘anchors’ to support a manufactured crown. 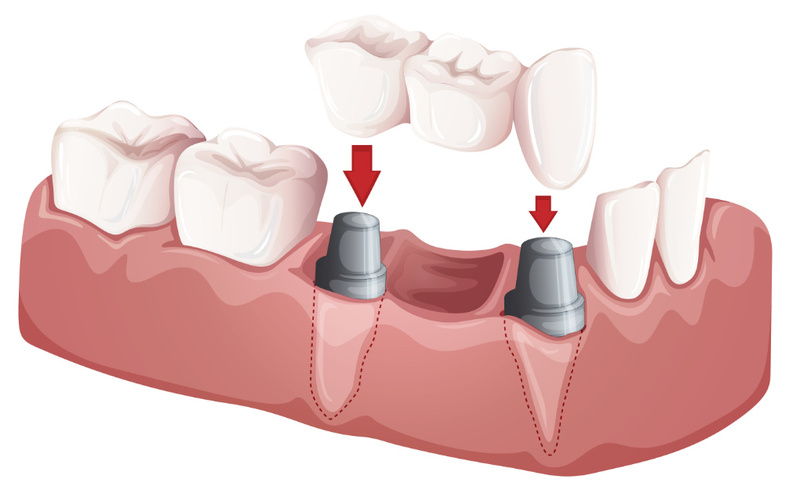 First visit: Following an initial consultation your adjacent (abutment) teeth will be shaped preparing them to be the anchors for your bridge. Impressions will be taken and used by the Lab technicians to produce the bridge. The new bridge will be coloured to match exerting teeth. 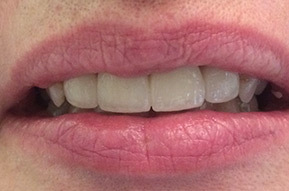 A temporary bridge can be fitted while you are waiting for your new one. Second visit: The new dental bridge will be checked for fit and comfort and then fixed with a dental adhesive. You may need to return for more than one visit so we can check your bridge and ensure it is well fitted and that you are comfortable and happy with it. What will my new bridge feel like? It may take a few weeks to get used to (particularly if you’ve had missing teeth for a long time) but once you get used to your new bridge it should make life considerably easier and just feel part of you. It is important to look after your bridge in the same way as the rest of your teeth. Remember that the health of the surrounding teeth will directly contribute to the success of your bridge in the long term. Use a bridge needle to clean underneath your false tooth each day. Always brush and floss your teeth daily. Attend regular dental and hygienist check-ups. Be careful to avoid a very sugary diet and particularly hard foods which could damage your bridge. Please call us on 01603 507321 if you have any questions.